It’s taken them over three years to respond to the revolutionary shift in the mobile operating system landscape posed by iOS, but Microsoft has finally done it and released a properly modern, properly app-laden and properly multi-touchable successor to the Windows Mobile series: Windows Phone 7. But what differentiates Windows Phone 7 from Windows Mobile 6.5, Windows Mobile 6 and a host of even crappier mobile operating systems squirted out by Microsoft? Quite a bit, actually, and it’s quite a bit better… but it’s still two years behind the curve of iOS. First of all, Microsoft has finally given their mobile operating system a slick touch-friendly interface with Windows Phone 7, although it has its precursor in the Zune HD’s user interface. The Quick Launch screen serves up large, colorful tile shortcuts that serve as shortcuts to your favorite apps and website, and it takes up the first page of a Windows Phone 7 handset’s home screen. Just swipe right to see all of your apps. It’s an interesting approach, but not necessarily superior to iOS’s tack, where the four (or six) user selectable favorite apps reside on the bottom of every homepage. More interesting is Windows Phone 7’s Social and Productivity integration. It comes in the form of three hubs: the People Hub that aggregates all of your friends from your social networks; the Pictures Hub which lets you see all of your contacts’ publicly uploaded pictures; and the Office Hub which lets you easily syny documents between your phone and PC. It’s basically deep Facebook and Flickr integration coupled with a Dropbox account for every Windows Phone handset. While iTunes does the media player heavy lifting on iPhones, Microsoft’s Zune Player performs the same function on Windows Phone 7. Likewise, while Game Center does matchmaking and achievements for iOS games, Xbox Live will do the same for Windows Phone 7. Apple fan that I am, Xbox Live is a much more robust service, and a s a gamer, this is the sole element of the Windows Phone 7 experience that I am truly excited about: integration between my Xbox 360 and my smartphone. Microsoft also has its own App Store, the Windows Phone Marketplace, although it’s barely worth considering at this point, so meager is the content available on it. All things in good time. There’s a lot more, because frankly, Windows Mobile 6.5 has been tossed out with the bathwater: the moment Apple unveiled iOS, it was very clear to Microsoft that the smartphone OS game they helped create had changed. Everything about the old Windows Mobile paradigm has changed, right down to the browser. 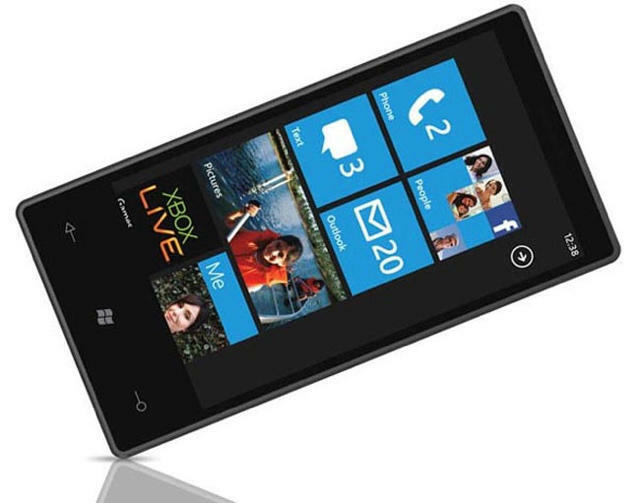 At the end of the day, what you’ll find in Windows Phone 7 is Microsoft’s take on iPhone OS 2.0: a solid mobile operating system with good media functionality and a burgeoning App Store, but without multitasking, cut-and-paste, Flash or tethering. It’s the best mobile operating system Microsoft has ever produced, but short of a few bulletpoints (like Xbox Live and some social network integration) in which it excels, it seems like Microsoft’s answer to iOS two years ago… not iOS as it exists today.